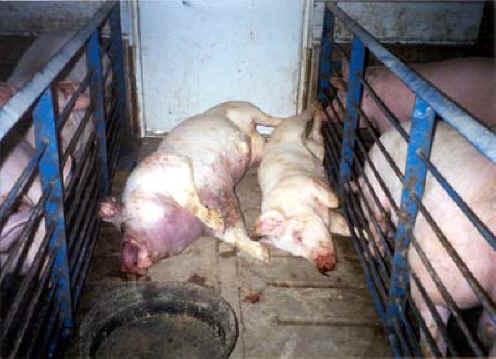 (Pig Exploitation - Factory Farming - 02) At this factory farm, these two young pigs died before reaching six months of age, when they would normally be slaughtered. That's right. They slaughter babies for human food. They even leave these dead pigs in plain sight of the other pigs, which increases their stress.